SLEs are leaders in schools with at least two years leadership experience who have a proven track record for working successfully with others to improve leadership and standards. SLEs are specialists across a range of subjects and areas of leadership and can be brokered through Poole Teaching School Alliance. Specialist Leaders of Education are tasked to work with other leaders and leadership teams in schools to develop their leadership skills to impact on teaching and learning therefore raising standards. If you would like to commission an SLE to work with your school, please contact Poole TSA. The profiles below outline the specialisms and experience of the Heatherlands SLE team. I am the Assistant Headteacher for KS1, Assessment & Moderation leader, Creative Curriculum subject leader & Class teacher at Heatherlands Primary School. I have taught in a range of settings throughout my 21 years of teaching and during my 9 years at Heatherlands I have developed a curriculum which inspires and engages learners whilst developing key skills and knowledge in a creative way. In collaboration with the core and foundation subject leaders I have been able to produce a primary creative curriculum (with an underpinning ICT focus) which challenges learners and provides them with the resources they will need as lifelong learners. I regularly organise curriculum days to promote specific areas of the curriculum and enable all staff to develop their skills whilst challenging them to try something new with support. This year I am planning to ‘rehash’ my Grinch hook assembly for our staff Christmas extravaganza and engage the children in preparation for Christmas. I have produced presentations which I have delivered to local leaders promoting and discussing the creative curriculum and the new National Curriculum and was also involved in the development and delivery of the PTSA new National curriculum conference. I went on to be deployed to 4 schools within the borough, working with staff on the computing curriculum, the use of the outdoor environment and assessment, marking and feedback. 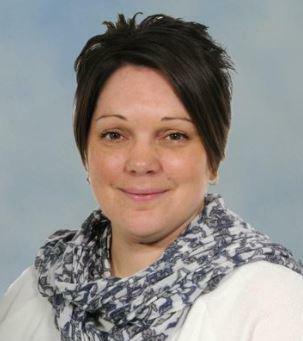 I am Deputy Head teacher at Heatherlands Primary school where I lead on behaviour and discipline across the school. 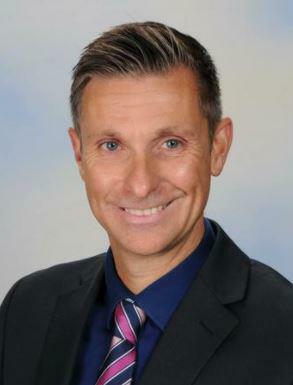 I have been teaching since 1996 in schools in South Wales, Bournemouth and Poole and have been a Deputy Head since 2002 having previously held posts in both senior and middle leaderships. I have had the opportunity to work in very diverse and challenging settings which has strengthened my opportunities to gain a deeper understanding of pedagogy, cognition and how young people think and behave. The key focus for my work has been on developing, monitoring and evaluating rewards and sanctions to support the foundations for effective behaviour management in schools, by providing systems to reduce internal exclusions. My work has also centred on developing the conditions for learning with children encouraged to take responsibility for their actions through choice and personal reflection. This has been designed to keep children in classrooms learning. An additional key part of my behaviour approach has centred around parental engagement and effective communication to ensure any home school partnerships are robust enough to support the resolution of conflict in order to reduce school barriers to behaviour. I am currently the Early Years Leader and a member of the Senior Leadership Team at Heatherlands Primary School in Poole and facilitate training for School Direct specialising in EYFS practice. During my 18 years of professional experience in education I have been an established leading teacher in Numeracy, Literacy and Early Years. Through this role I have been able to share my good classroom practice through modelling, mentoring and facilitating other teachers in the development of their own practice and provision. I have gained considerable experience at Senior Leadership level that has included roles as Head of Early Years in a Garrison school in Germany, Key Stage One/EYFS Leader and Acting Deputy Headship position in Wiltshire. As an established Early Years leading teacher in Wiltshire, I then became an Early Years Advisor with Wiltshire Local Education Authority. My role concentrated on raising standards and ensuring measurable outcomes for all children throughout Wiltshire. Within this role I had a specific focus in developing Moderation, designing and delivering training and supporting and mentoring teachers. I have lead the implementation of the key principles and high quality practices of the EYFS within schools requiring improvements as well as Pre-Schools and Maintained Nurseries.